A fun new way to enjoy each drink! Hard plastic straw. Perfect for your next party! Great game to play with family and friends! Must buy ???? 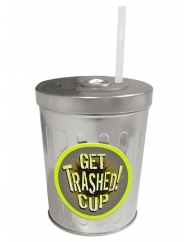 A fun new way to enjoy each drink! 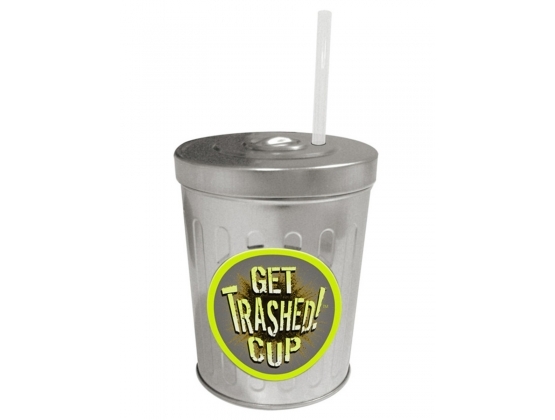 One leak-proof, metal trash can cup with removable lid and hard plastic straw.